Mum of Five Staying Sane: From the makers of The Croods and How to Train Your Dragon. Dreamworks Animations brings you Home, coming to cinemas this weekend released 14/03/2015. From the makers of The Croods and How to Train Your Dragon. 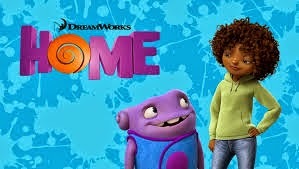 Dreamworks Animations brings you Home, coming to cinemas this weekend released 14/03/2015. 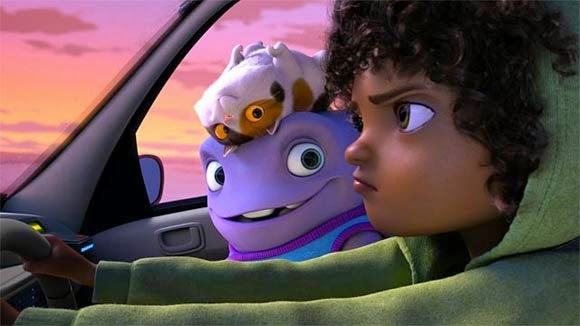 Coming to cinemas this Mothers Day weekend is the new Dreamworks Animation film, Home. Directed by Tim Johnson and includes an all-star cast including Jennifer Lopez, Steve Martin, Rihanna (as the voice of Tip) and Jim Parsons. 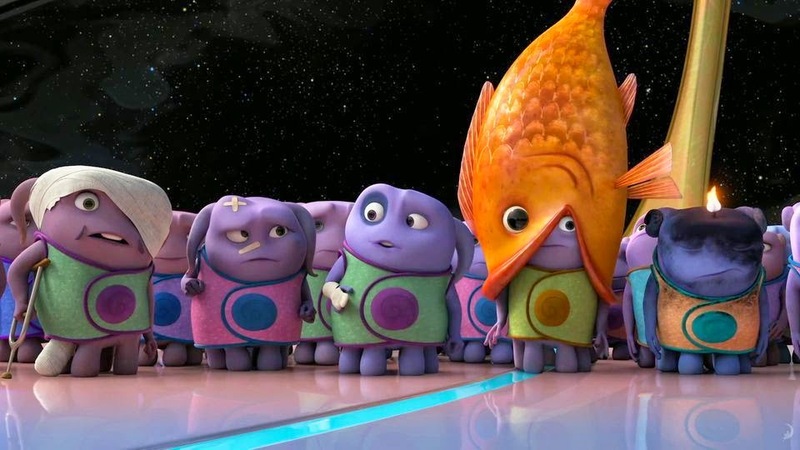 Premiering on Saturday 14th March 2015 at cinemas nationwide, Home is about an alien race called the Boov who come to Earth to hide from their enemy and make it their home. The Boov think the humans are in the way and decide to relocate them to a Desert Planet but one girl called Tip avoids capture and finds Oh, a Boov who has been banished. At first Tip and Oh are terrified of each other but soon they see past their differences and strike up a friendship that sees Oh accompany Tip whilst she is on the run and trying to locate her mother (Lucy) but he accidentally notifies the Boov's enemy of their whereabouts. The Earth is turned upside down when the rest of the Boov arrive, and the two must hold on tight so they don’t lose each other altogether. With the world in chaos all around them, they begin the journey of a lifetime, and learn a thing or two along the way. An original short film called 'Almost Home' featuring the Boov and their leader Captain Smek was attached to theatrical screenings of Dreamworks Mr Peabody and Sherman in early 2014. This film looks great fun and will be a laugh along film about two new buddies as their friendship grows through their adventure together. I will definitely be taking my kiddies along to see it as soon as I can. It is a definite must see for the whole family so get those tickets pre-booked at a cinema near you now.